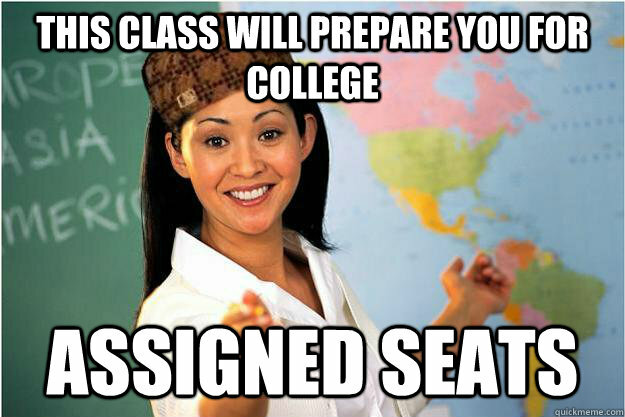 It's easier to take attendance. They allow students to get to know people well. They add structure to the class. They help with classroom discipline. What do you think about assigned seats in class?